Brokerdealer.com blog update courtesy of InvestmentNews’, Mason Broswell. One of the largest mutual funds groups, Fidelity Investments has been ordered to pay a fine after inappropriately charging fee-based accounts that received brokerdealer services for over 7 years. 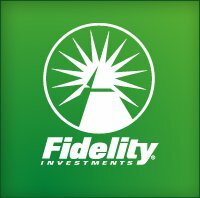 The Financial Industry Regulatory Authority Inc. has ordered Fidelity Investments to pay a $350,000 fine after the firm allegedly overcharged more than 20,000 clients a total of $2.4 million. From January 2006 to September 2013, Fidelity inappropriately charged for certain transactions in fee-based accounts in its Institutional Wealth Services group, which provides trading and brokerage services to investment advisers and their clients, Finra said in a letter of settlement. Finra said the overcharges resulted from a lapse in supervision over how Fidelity applied fees under its asset-based pricing model, which generally charged on assets rather than by transaction. As a result, certain clients may have been double-billed or charged excess commissions in addition to the asset-based management fee, according to Finra’s letter. For instance, in over 1,000 fixed income transactions initiated by advisers, clients were erroneously charged a markup on the transaction in addition to the asset-based fee, Finra said. Fidelity discovered the problems in the spring of 2012, self-reported the issue to Finra and voluntarily reimbursed all clients, according to Adam Banker, a spokesman for Fidelity. The issues affected roughly 1.5% of the brokerage accounts held for investment advisers and the majority required reimbursement of less than $100, according to Mr. Banker. The firm agreed to the settlement letter without admitting or denying the findings. Fidelity’s Institutional group is the third-largest custodian when ranked by number of registered investment adviser clients and serves around 3,000 RIAs, according to InvestmentNews’ RIA Custody Database. Fidelity’s direct-to-consumer, workplace savings accounts and correspondent broker-dealer clearing business, which operates as National Financial, were not affected, Mr. Banker said. This entry was tagged brokerdealer, brokerdealer blog, brokerdealer.com, brokerdealer.com blog, fees, fidelity investments, FINRA, Investment News, wall street. Bookmark the permalink.